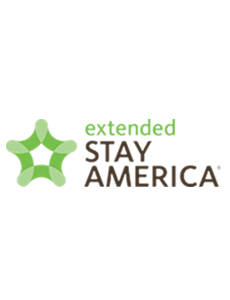 Extended Stay America in Brookfield welcomes business and pleasure travelers for short or long term stays. Rooms are spacious studio suites featuring fully equipped kitchens, dining, entertaining and bedroom areas. Complimentary services include free Wi-Fi, grab and go breakfasts, pool, hot tub, airport shuttle, and fitness room. Onsite coin-operated laundry and meeting rooms are available. Pets are welcome with a non-refundable deposit. For more information or to make a reservation, click below.